The comfort of your pet is your first priority. Check out the hotels in India which are pet friendly. It is important that you call and confirm the details. 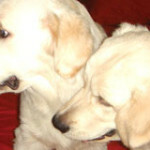 Call and check room descriptions, services offered and if any special arrangements have to be made for your pets. Get an email confirmation that it allows dogs to stay at their hotel. Travelling and staying with your pet at a hotel requires keeping decorum. Follow the rules of the place you are going to and stay. Ensure that your dog has a nametag with name, owner’s name and contact number. Carry a first aid kit–consult your veterinarian for what you need to carry. Take his food and treats enough to last the trip. Take along dishes, leash, dog toys, brush, towels, and bags for cleaning after your dog, all things that will keep him happy. You need to get your dog’s health check done before a vacation to detect any problems before hand, so that no problem crops up during your holiday. Ensure your dog’s vaccinations are up-to-date. Take along a written proof with you on your holiday. Keep your pet flea and tick free. In domestic flights of Jet Airways, Indian Airlines and Jet Lite your pet can travel in the cargo hold. The pilot should be informed in writing prior to the flight that there is a live animal in the cargo hold and he adjusts the temperature in the hold for the same. Pets below 10 weeks of age are not allowed to travel by flight. The charge for your pet travelling on the aircraft depends on the weight of your pet and differs from airline to airline. Here are some general rules for travelling with your pet by flight. Your pet has to be duly vaccinated and you have to carry the vaccination history. A certificate by a veterinarian is required to certify that your pet is physically fit to fly. Your pet has to be placed in an IATA specified cage during the flight. The maximum size of the cage can be 53” x 48” x 34” for Jet Airways. Some of the others airlines are not specific about the cage size. The duty manager at the airport has to be informed 24 to 48 hours before the flight about your pet travelling on the flight. The pet with his IATA specified cage has to be checked in three hours prior to the flight time. Before boarding the aircraft, remain in the boarding area to confirm that your pet has been loaded. If your flight is not a non-stop, leave the aircraft and check on your pet during the layover. 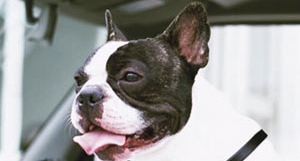 If the layover is long or the temperature a factor, confirm that the pet is unloaded for the layover and not allowed to remain in the cargo hold or out in the sunlight. If the layover is long enough, claim your pet, take it for a walk, and offer him water before you reboard. A passenger can take a pet dog along with him in AC first class or first class only, provided he reserves either a two berth or a four berth compartment exclusively for his use, paying the due charges depending upon the type of train. Passengers should contact railway booking counter to confirm the charges for the pets on board. The charges may vary as per the travel distance. 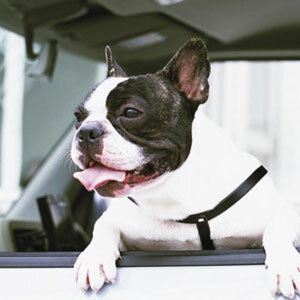 Keep your car well ventilated and your dog cool. Get a dog seat belt. Don’t let him stick his head out the window while the car is moving. Do not leave him in a parked car unattended or in the sun. Stop every two to three hours to allow your dog to relieve himself. Keep him hydrated all along. Car sickness is stress related. If the first trip is handled well, then he will enjoy all his trips. Begin with short trips of 10 to 15 minutes every day, maybe to the park so that he can enjoy himself. This will condition his mind to the fact that the journey will end with a treat. Feed him light before the trip. Keep water ready and a soft bed. Never leave your pet unattended. Keep your pet on a leash. Do not let your dog run loose – it can be dangerous for him and for other animals in the vicinity. Keep the leash on when out walking. Bring a poop scooper. Do not allow your pet to mess around and if he does, pick it up and clean up after him. Also check for any restricted areas where the pet is not allowed. Never leave the pet alone. Keep the room clean by placing a blanket on any surface where your pet sits on or rests as it will help cleaning after you have left (dog hair is difficult to remove). For a beach holiday, take along a ball and Frisbee for your dog, they also love to swim; if you are hiking or climbing and going on long walks and treks – keep drinking water handy and your pet on a leash. Keep addresses and telephone numbers of nearby vets ready for any emergency. Carry dry food along for your pet. Bring along one of his bedding that is washable so that your dog does not feel out of place. Your dog is your responsibility. Do not trust anyone else to watch your pet. If all these things are kept in mind, you will have a wonderful vacation and some beautiful memories for your picture book.